Q. I’m looking forward to a family wedding in June but a bit desperate about my nails, which are flaking and keep breaking off. What can I do to at least make them look respectable? A. The answer is a multi-pronged approach of strengthening and moisturising, which should have your nails looking more than respectable for the festivities. Having said that, remember nails take time to grow and they only reward diligent and daily TLC. If you go off without well-fitting gloves – free of holes! – and do the weeding, horse grooming (like Sarah…. ), or do the washing up, your nails will likely stay weak whatever you do to support them. We suggest you immediately start taking a good nail-strengthening supplement such as Vitabiotics Plus Nails, which contains selenium and zinc plus horsetail botanical extract (a natural source of silica) and MSM to provide sulphur. The bonus is the formula supports skin and hair too, since they are all related. £14.95 for 60 tablets, available from vitabiotics.com and in store nationwide. Secondly, be diligent about using a strengthening nail polish. Lots to choose from but Sarah uses Sally Hansen Advanced Hard As Nails, £4.75, which really works for her. File nails (gently) as short as possible then paint two to three coats on bare nails. Even that makes them look a lot better as it has a ridge-filling effect that creates a smoother surface. You can apply a coloured nail lacquer on top if you want; see our latest Beauty Bible Award winners here. We also swear by oiling our cuticles and nails daily. Use a drop of face or body oil on your nails – or invest in a targeted product such as Jessica Phenomen Oil Intensive Moisturiser, which rightly gets rave reviews. Currently £10 at amazon.co.uk. And, of course, slather on hand cream every time you’ve washed your hands. For a really lovely treat, consider MV Organic Skincare Hand Rescue Intensive Skin & Cuticle Treatment with organic rosehip oil. (It’s also a favourite of our friend Liz Earle, a woman who knows a thing or three about skincare.) As one reviewer commented on the Cult Beauty website, ‘it’s pricey but worth every penny!’ From cultbeauty.co.uk, £29 for 70ml. Finally, but very importantly, if you have a manicure please do not let the therapist buff your nails. Just say NO. It is the quickest way to weak nails, as Sarah knows to her cost – her nails are still recovering from a manicure around Christmas. Also beware having gel nails; yes, it lasts for weeks but removing the gel coat can take off the top layers of nail. 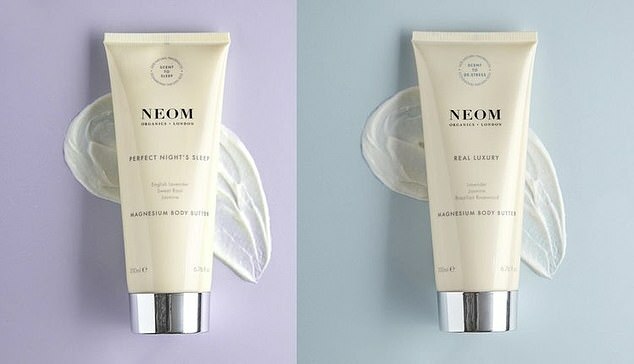 Beauty Bible loves… NEOM Magnesium Body Butters, £36 for 200g.